The truth is, we cannot speak other than by our paintings. 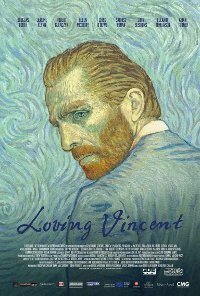 A young man comes to the last home-town of painter Vincent van Gogh to deliver the troubled artist’s final letter, and ends up investigating his final days there. 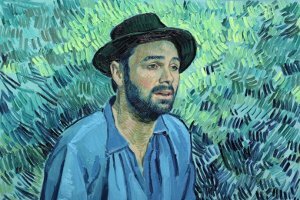 As he meets the people who knew Vincent, and visits relevant locations, he starts to put together the pieces of what happened to Vincent. The film is entirely oil-painted, and has numerous awards and nominations, including an Oscar nom. Language Mild to moderate. fairly frequent, as conversation and exclamation. Violence Moderate impact, fairly frequent, bullying, fist fights, blood letting mitigated by animated style.